Article from The Hill by Jacqueline Thomsen. 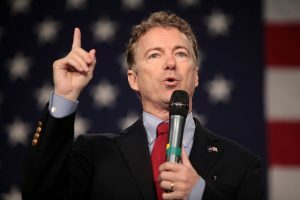 Sen. Rand Paul (R-Ky.) has filed a civil lawsuit against the neighbor who assaulted him last year. The lawmaker filed a complaint in Kentucky’s Warren Circuit Court last week seeking a trial by jury and an unspecified amount in damages over Rene Boucher’s assault against him. Totally agree Harry! Give Paul Rand the maximum award possible and teach this violent person a good lesson in the only way that mean anything to him; HIS WALLET. Have to agree. Only way to stop these Idiots on the Left is to fight back. Lawsuits, file complaints etc, these people need to be taken off the street before someone really gets hurt. And I mean Children someone. You can’t blame innocent people for the actions of the Government. You can’t punish innocent people for the actions of the Government. But we can punish you for threatening to do harm. That’s not “Free Speech”. Sue him right down to his belly button lint Senator. We are with you. He better hope that I’m not on the jury that make the monetary decision of how much to give you! I can’t believe he’s a Dr. I wouldn’t want him treating me even for a hangnail. Certainly a reasonable idea, but why didn’t the senator, being the injured party, call for criminal charges. Because he is not the prosecutor. Looks like the county he lives in has another Jeff the inert Sessions in that office, though. Alan, I thought he did, but it didn’t happen. 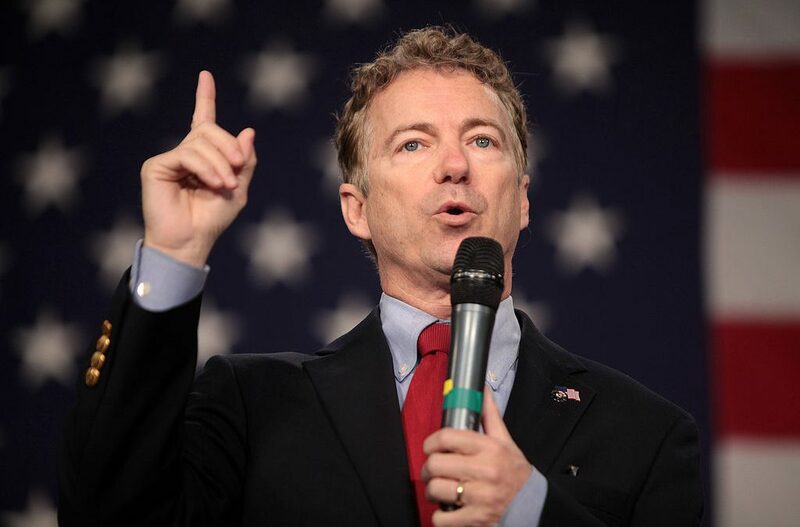 Now, if the tables had been turned, Rand Paul would be in jail now. I say all and any person, that is harassed because he/she is a supporter of our President Donald Trump should be subject to investigation and or arrest! For the very reason that the person being harassed really can’t be certain if the harasser is just a nut or a very serious, dangerous person!! Just listen to how vile the talk is coming out of the mouths of the Democrats, and you can see how it could / would effect some weak-minded person to do in reality what he / she might only be thinking ! It;s not our way. Anybody can tell you what they think of you as long as they don’t actually threaten harm without fear of a jack booted government thug kicking down their door at 3 AM. It’s why we are cleaning out the FBI and NSA. One more thing. I don’t scare very easily. I can take care of myself without big bother hovering over me. I think Rand Paul is the same. We have had at least 10 similar incidents this week. I think a bunch of arrests and lawsuits are over due. Mathew, this is not a “free speech” issue – inciting a riot is a crime, facilitating an assault is a crime and stalking and harassing people crosses the line and should be taken and treated seriously. Good for you Paul! Hope you win all his money!! I doubt money has much to do with it. It’s more on principle. I don’t understand why the one that hurt Rand didn’t get more time in prison,it must have been a democrat judge. Rand could just set a precedence with this lawsuit. As a conservative and supporter of our president, Maxine Waters has instructed her minions to attack anyone connected to or supporter of conservative values. I think we should file a class action lawsuit against her for inciting violence to our person and our civil liberties. Including the DNC as co-defendants might get the liberals attention and send them a message that we are not going to be bullied into silence. These lawsuits should be done in every instance to stop these haters such as Maxine Waters from inciting further acts of violence! Only way to hurt these nuts is to hit them where it hurts the most, that’s in the pocketbook. Don’t settle out of court and rack up his lawyers bills and then the jury’s award, wish I could be a juror on your trial. He sure as Hell wouldn’t be able to afford living next to me anymore if I were Rand.